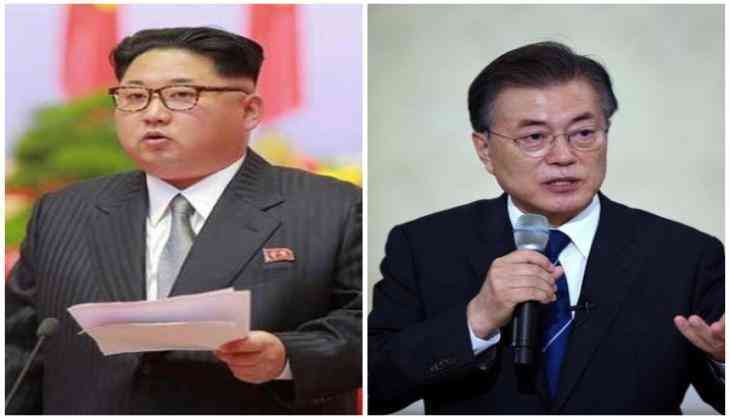 North Korean leader Kim Jong-un on Monday hosted a welcome dinner for South Korean President Moon Jae-in's special envoys in Pyongyang in the North, the Cheong Wa Dae or the presidential Blue House in Seoul said on Monday. "Chairman Kim Jong-un is currently hosting a dinner for the special envoys," Cheong Wa Dae spokesman Kim Eui-kyeom was quoted by the Yonhap news agency as saying. This was the first time that Kim met the South Korean envoys. The dinner began at 6 pm (local time). Earlier on Monday, the envoys arrived in Pyongyang at 2:50 pm (local time) in a special chartered flight, about one hour after their departure from Seoul Air Base, according to North Korea's Korean Central News Agency (KCNA). "The delegation of South Korean president's special envoys, including National Security Office Chief Chung Eui-yong, arrived in Pyongyang on March 5," the KCNA said in a short dispatch from Pyongyang. In a separate report, the North Korean Central Broadcasting Station (CBS) said the South Korean envoys were welcomed by Ri Son-gwon, the chief of a North Korean agency in charge of inter-Korean affairs. Ri had visited South Korea as part of a high-delegation, which attended the opening ceremony of the Pyeongchang Winter Games held last month. Other members of the delegation include Suh Hoon, chief of the National Intelligence Service (NIS), Chun Hae-sung, vice minister of unification ministry, Yun Kun-young, a Cheong Wa Dae (presidential Blue House) official, and Kim Sang-gyun, a senior NIS director. The delegation will return to South Korea on Tuesday. Relations between the two Koreas have warmed rapidly over the last few weeks. Kasautii Zindagii Kay 2: Jennifer Winget, Anita Hassanandani or Aalisha Panwar- who will be the new Komolika in Hina Khan's place?